1 Engineer, 1 slot, work place: Risk Prevention and Rehabilitation Division, Department of Disaster Management, Thimphu. 2. 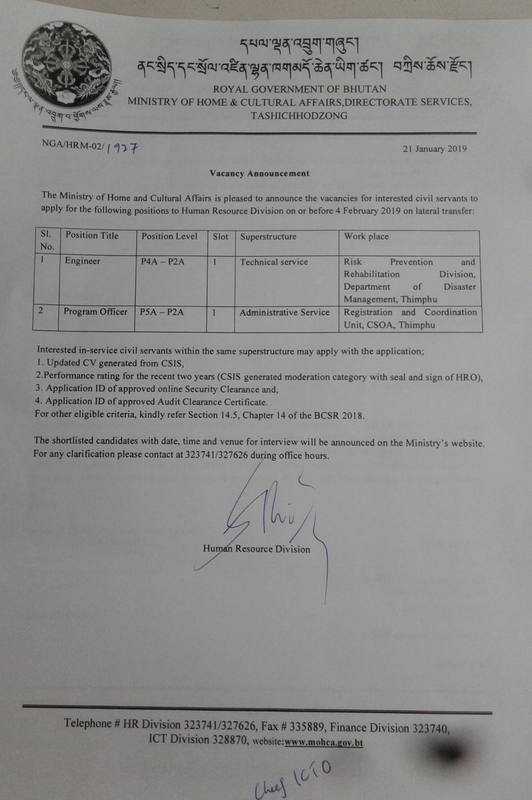 Program Officer, 1 slot, work place: Registration and Coordination Unit, CSOA, Thimphu. For detail please click the announcement order here.